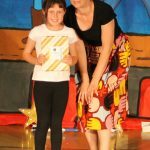 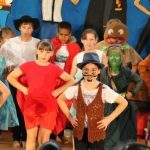 Our talented and gifted upper primary students entertained and amazed us with their performances at the MerryDin Concert this week. 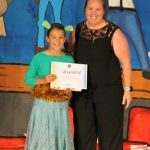 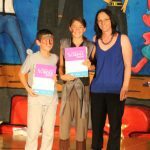 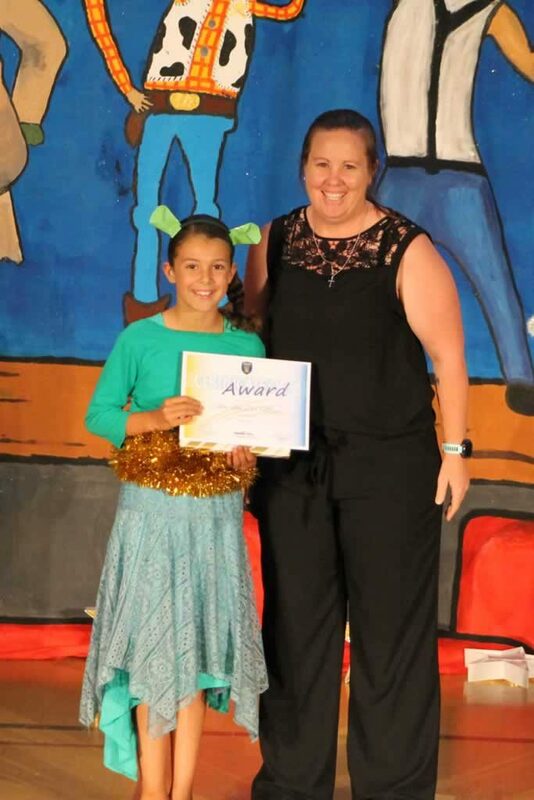 The concert MC’ed by our primary school captains, Judd Major and Sophie Saunders, started with a welcome to country by Phoebe Hayden and our school choir, led by Mrs Caryn Adamson, performing a wonderful rendition of ‘This is me’ from ‘The greatest Showman’. 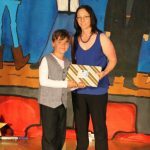 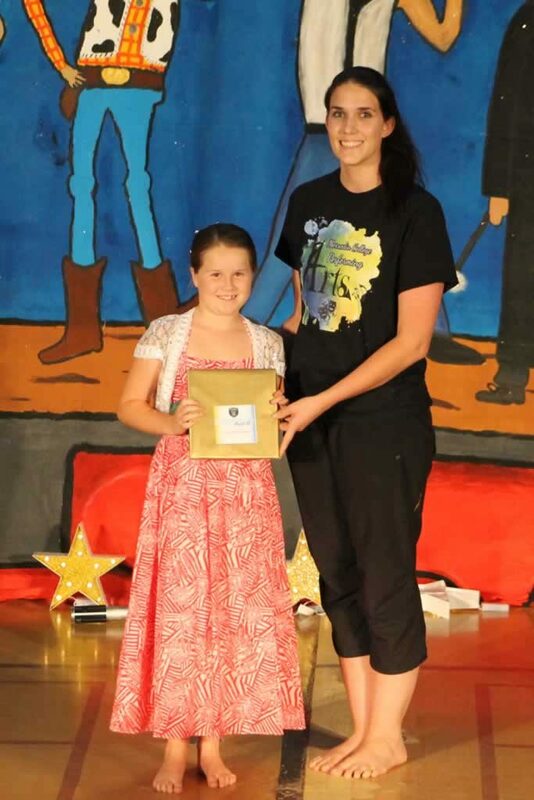 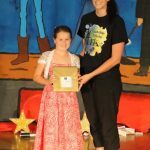 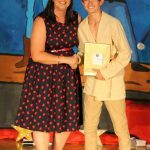 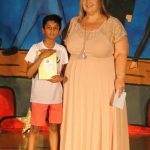 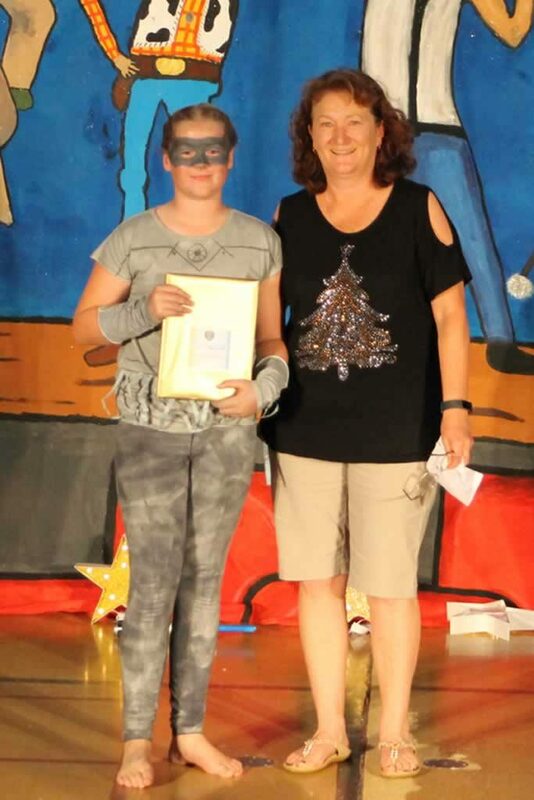 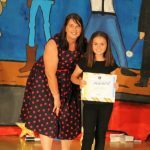 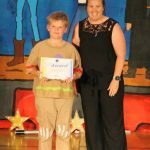 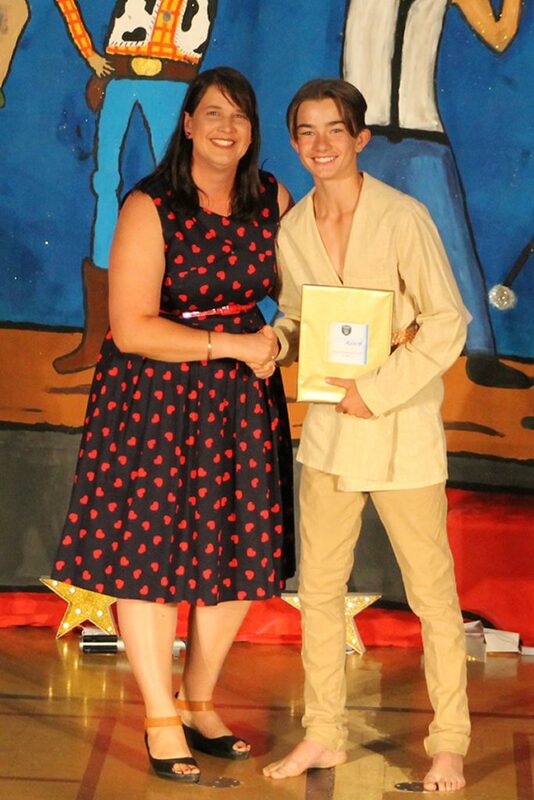 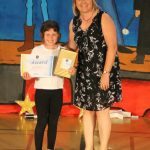 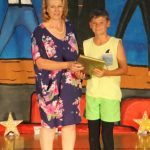 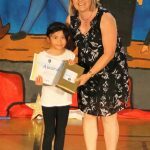 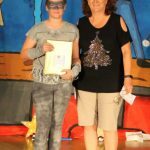 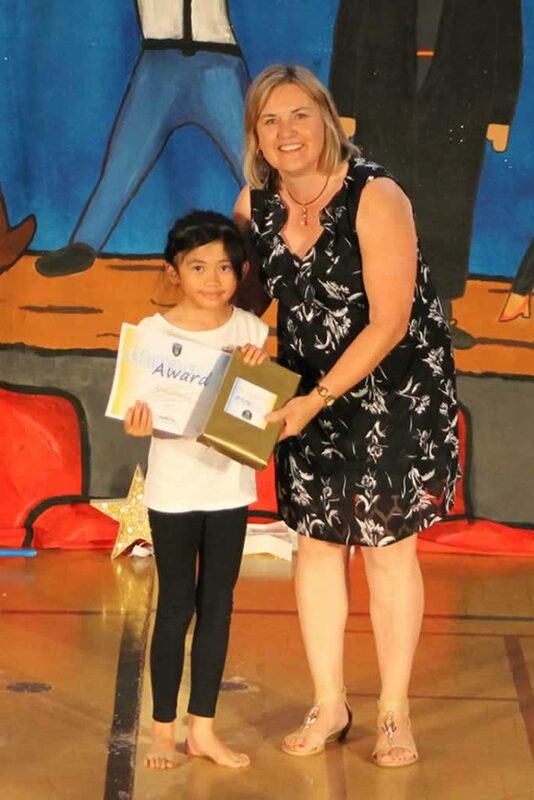 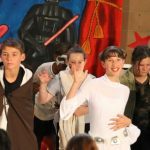 The theme, ‘A Night at the Movies’, showcased a range of award winning movies including Harry Potter, Grease, Shrek, Footloose and Star Wars. 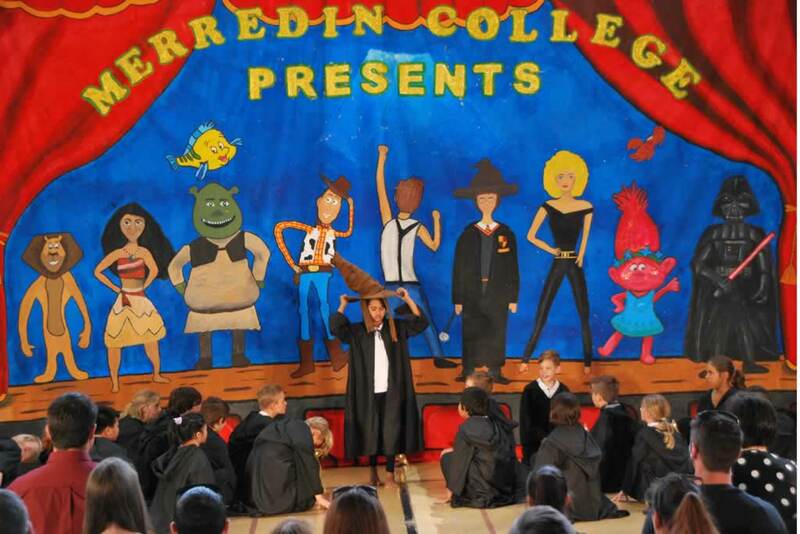 Our Year 3 students looked brilliant in their Harry Potter robes (thanks to the sewing skills of the staff and volunteers from Block 3), and went on to sing the full story of the 7 Harry Potter books in 4 minutes flat. 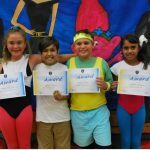 Their dance number combined acrobatic and hip hop moves and was full of energy. 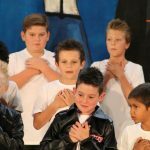 The Year 3/4 class took us back to 1958, singing ‘We go together’ from Grease before busting some moves in swing skirts, denim and black leather. 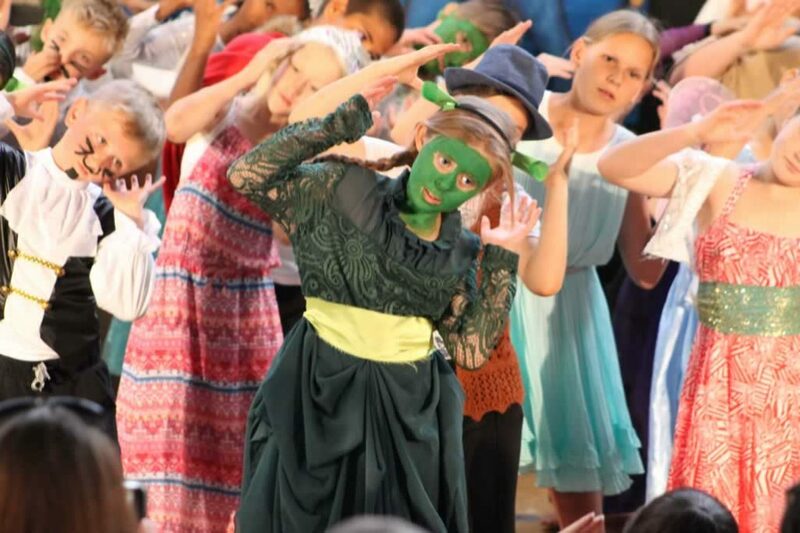 Fairy tale characters hit the stage next with the Year 4/5’s singing ‘I am a Believer’ from the movie Shrek. 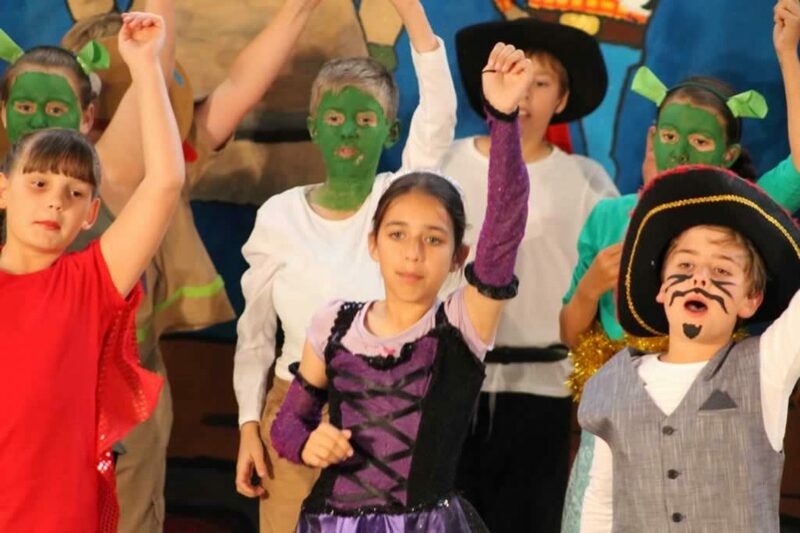 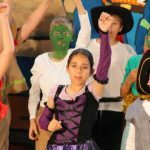 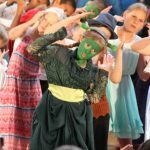 The Shrek dance number introduced some further acrobatics, Spanish influences along with hip hop. 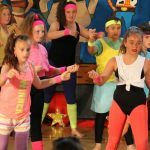 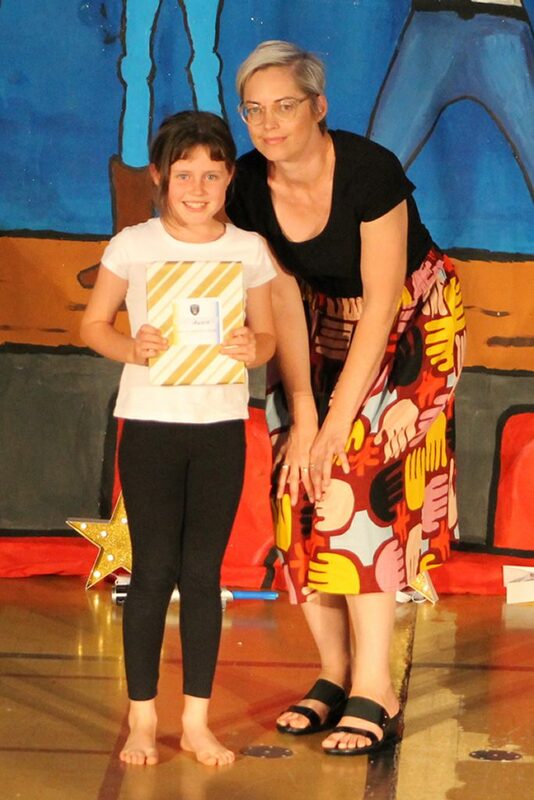 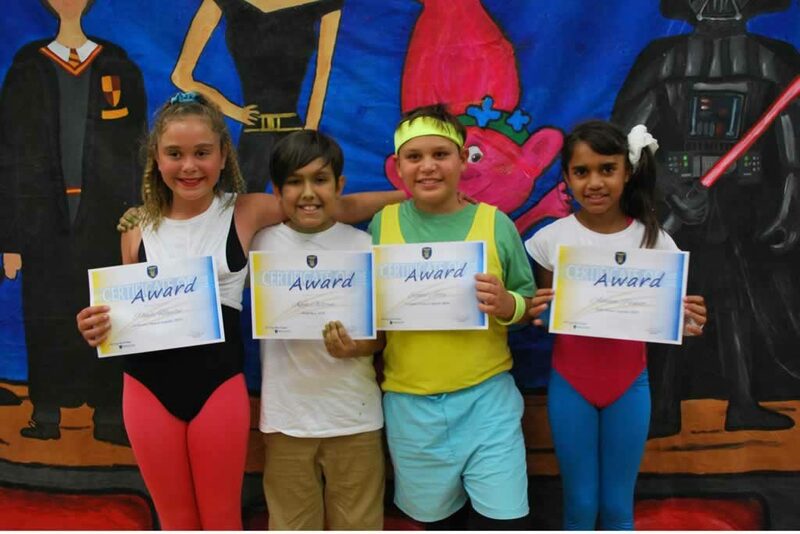 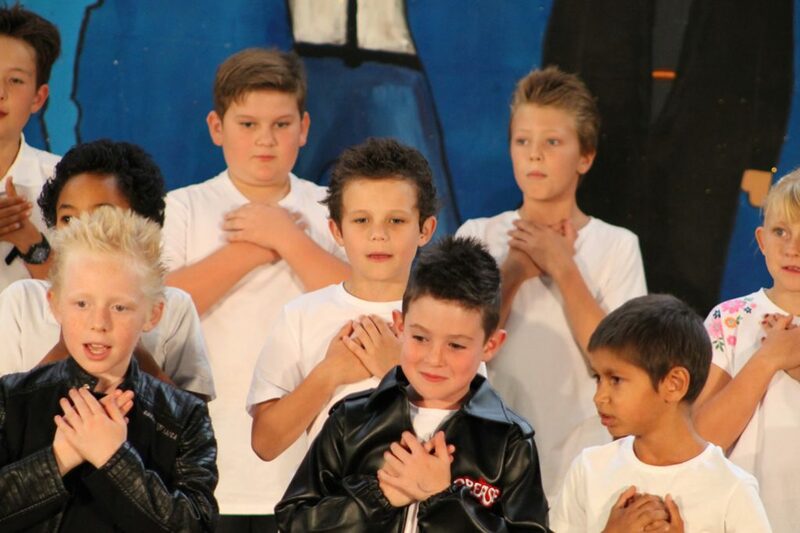 The Year 5/6 class gave a Rock Star inspired performance of ‘Footloose’ before busting out their dance moves. 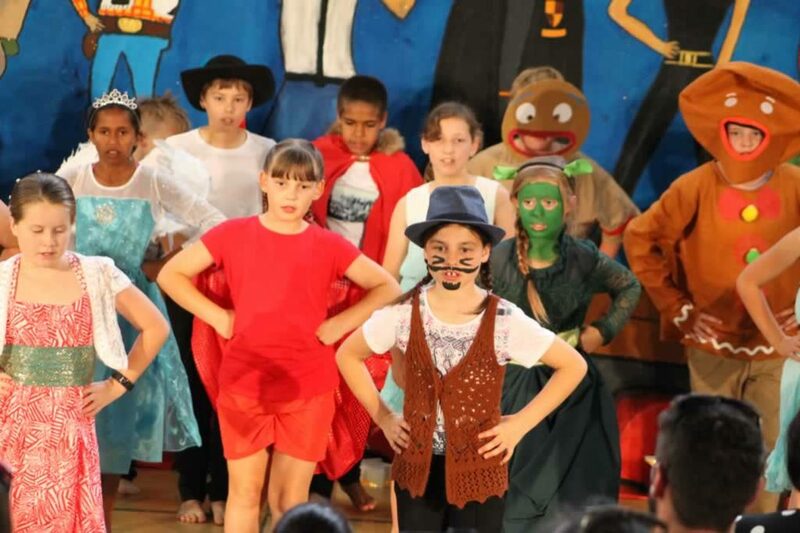 The final performance of the evening by our Year 6 class, left everyone in awe. 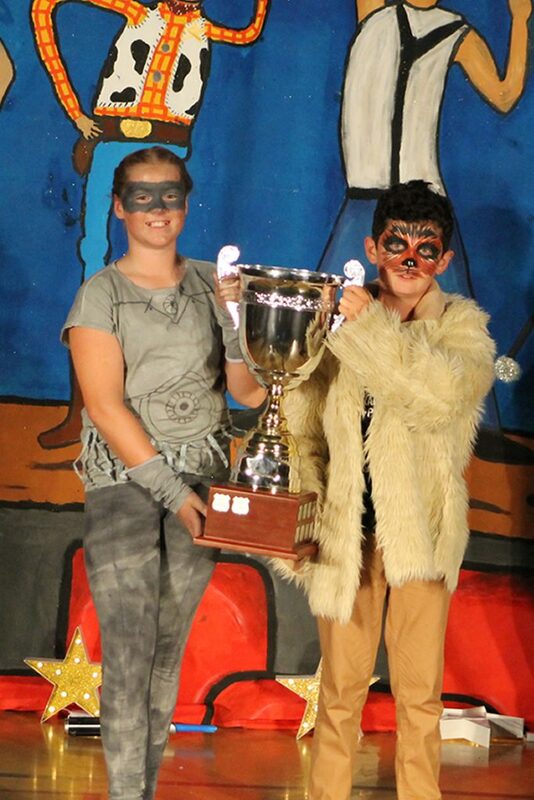 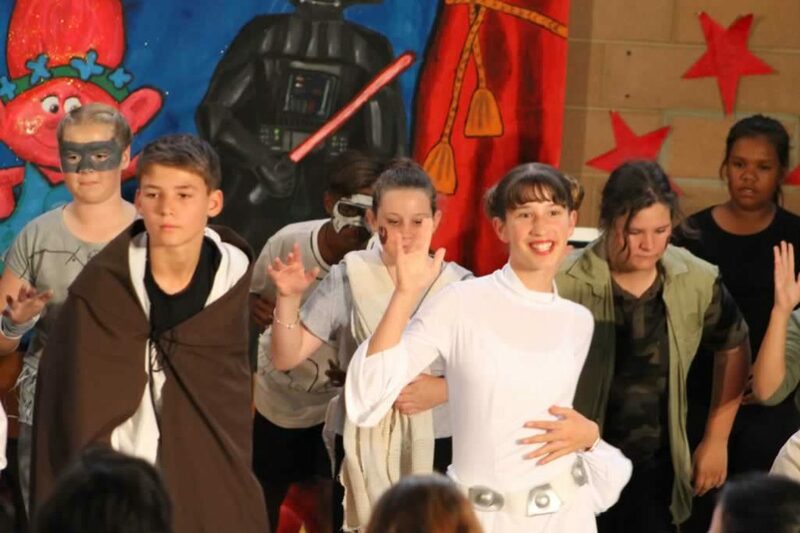 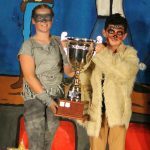 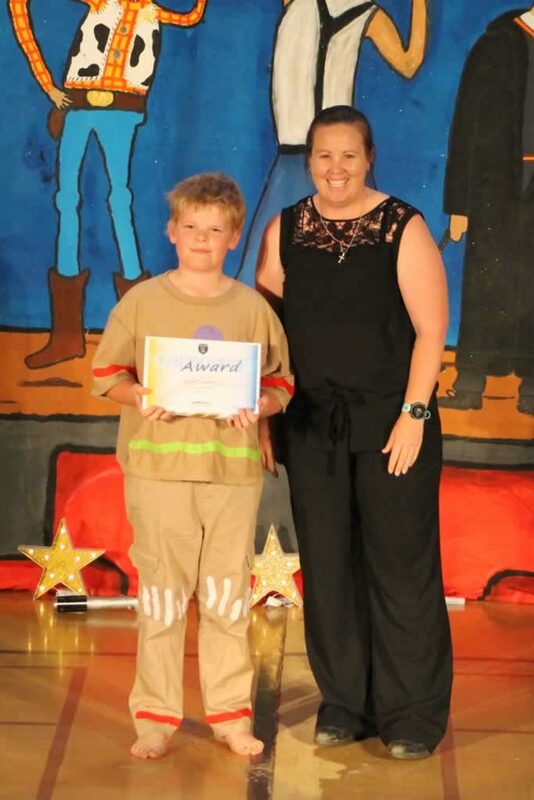 With character performances by our Year 6 students, they sang the entire story of Star Wars with Oscar Worthy acting parts throughout the song. 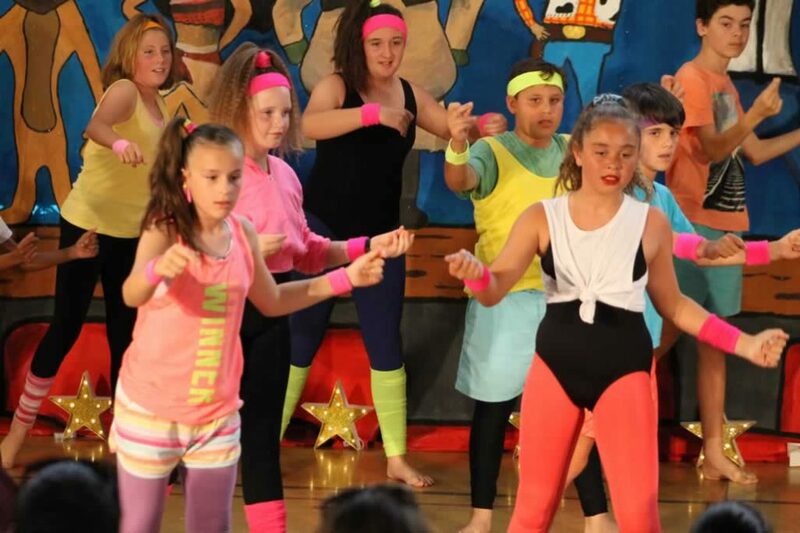 Their dance number was more of a production, with audience members admitting they would have paid to see it! 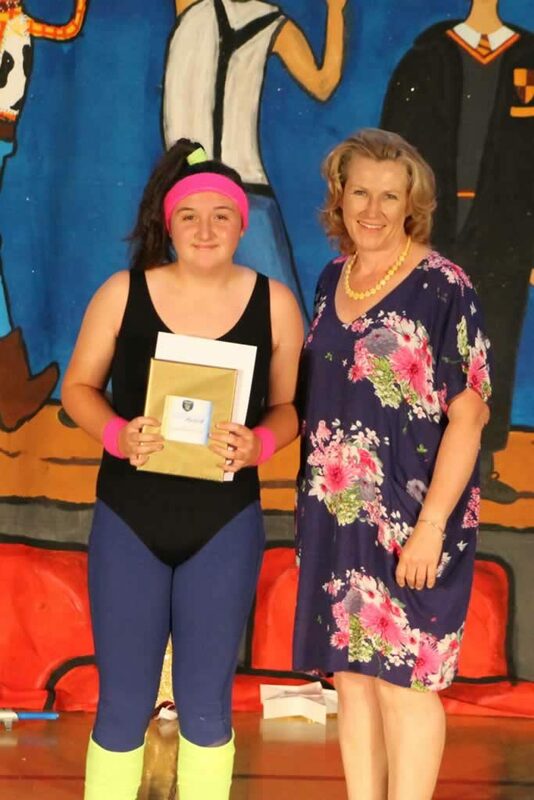 A big thank you goes to Mrs Adamson and Miss Beale who coordinated all elements of the entertainment, and to the staff for ensuring costuming, props and students were already on the evening. 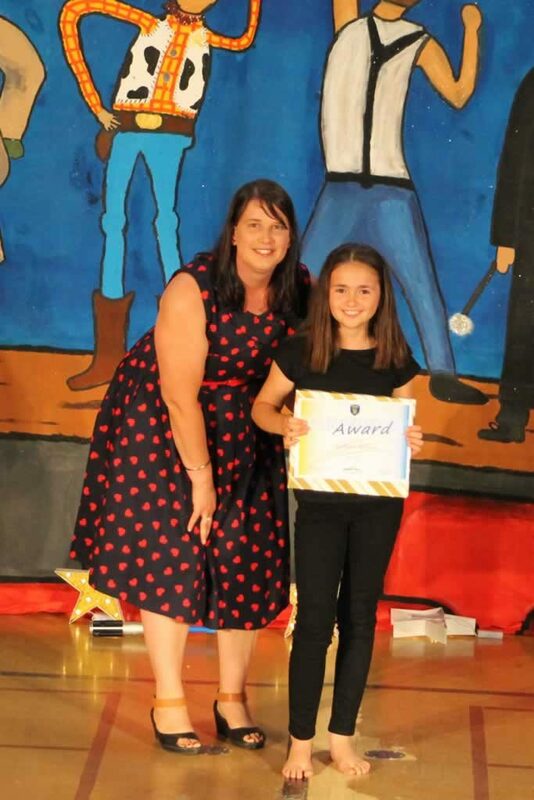 Special thanks goes to Mr James who coordinated sound and lighting, Miss Burnett for the Backdrop and Art Display and Mrs Clarke and Mrs Freebairn who recorded the evenings events of film. 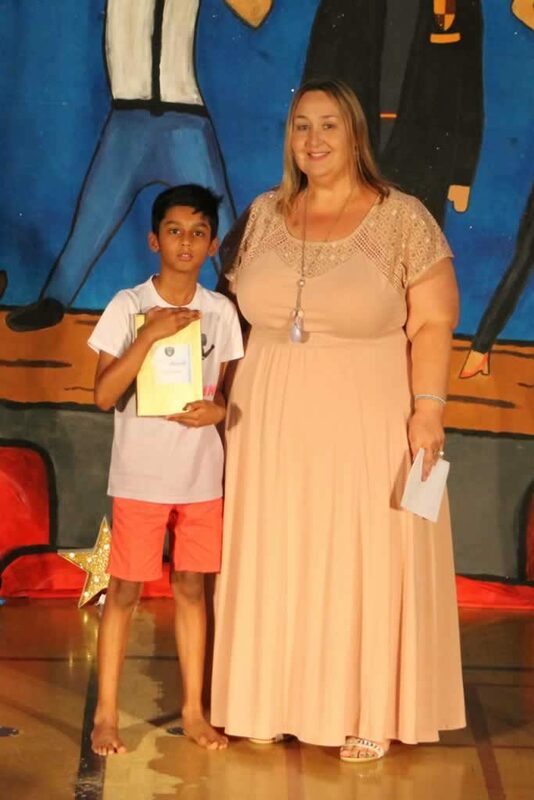 The final part of the evening was recognising the students for academic endeavour and citizenship and saying farewell to the staff leaving at the end of the year. 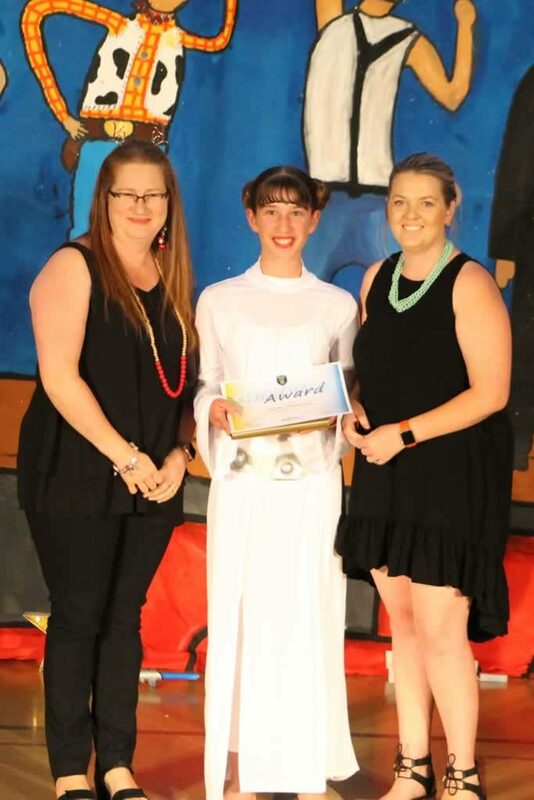 The 2019 Student Leadership was announced along with the 2018 Faction Cup winners – Kelly Faction. 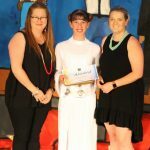 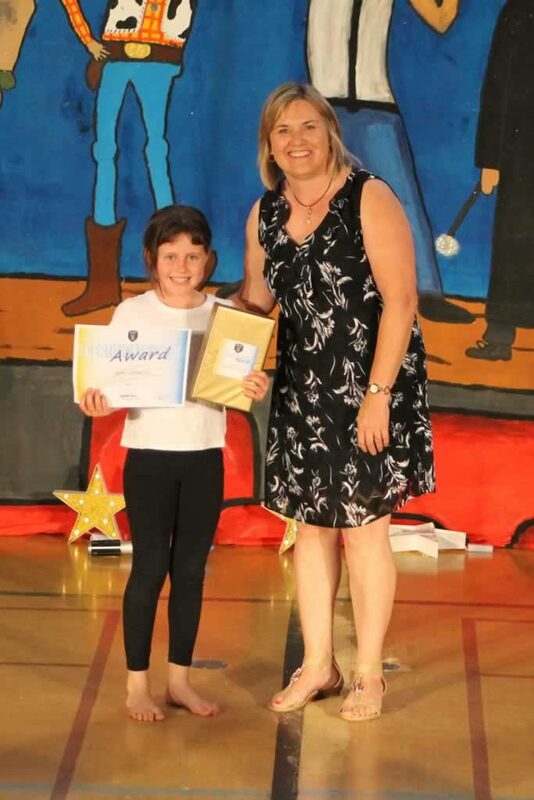 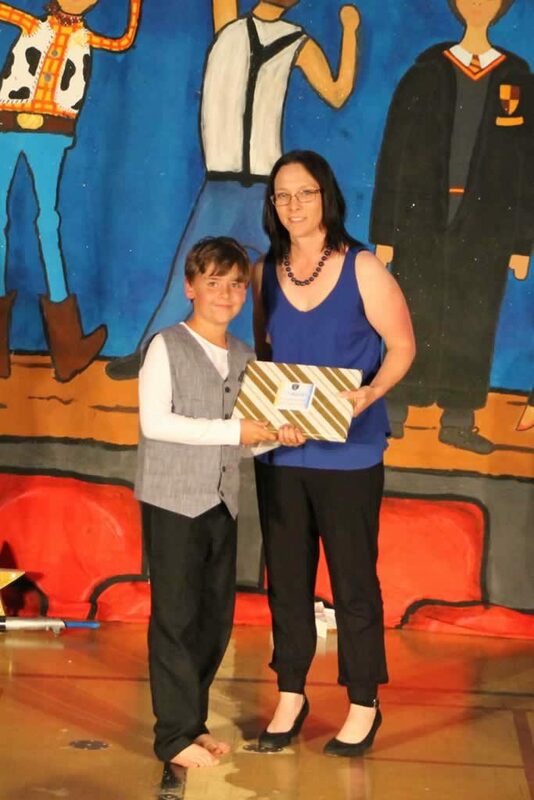 Special guest, Mrs Alison Ramm, the Regional Executive Director of the Wheatbelt Education Region was in attendance at the evening and proclaimed the concert the best one she has seen for 2018, high praise indeed, before recognising the contribution of Mrs Beverley Stanes, Principal of Merredin College who attended her final concert on the eve of retirement. 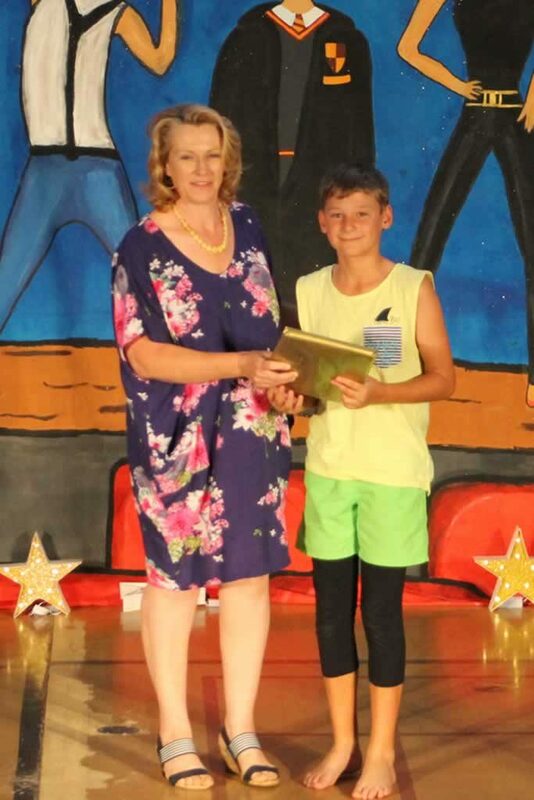 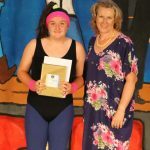 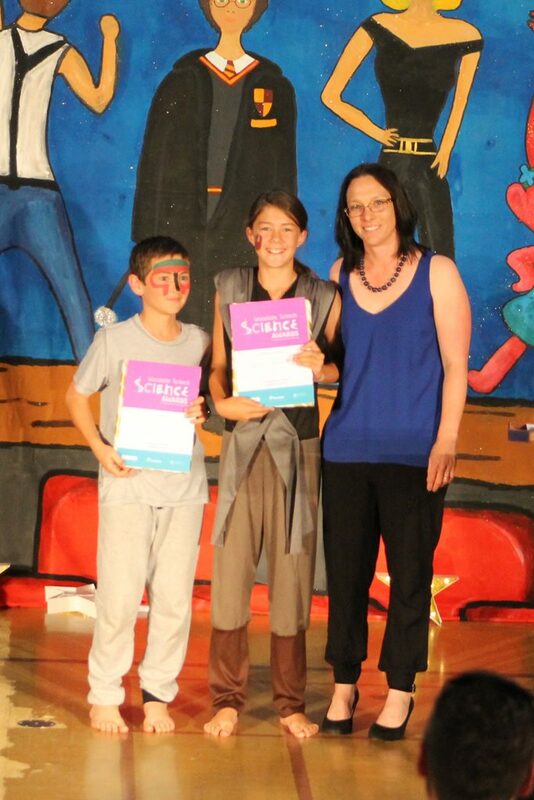 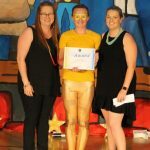 We wish Mrs Stanes all the best and thank her for her contribution to making Merredin College a flagship School during her 7 years at the helm. 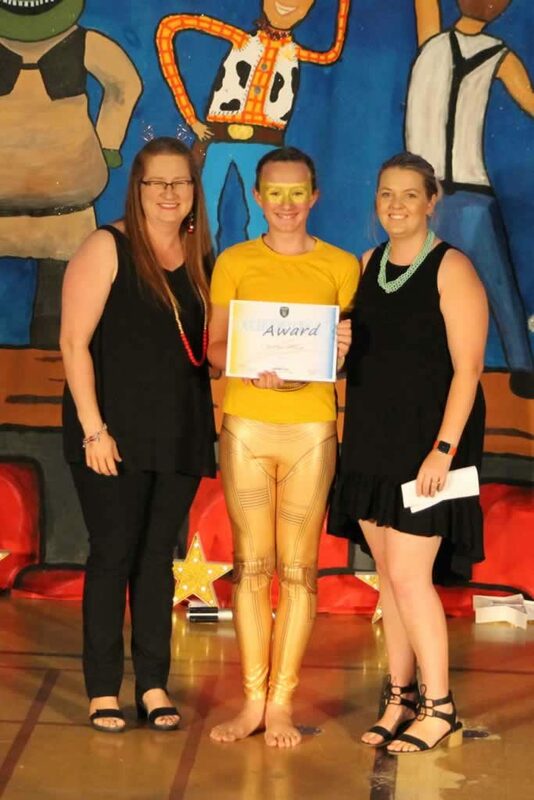 Upper Primary Staff brought the evening to a close, with giggles, missteps and some hilarious costumes, ending the evening on a high!